We had some flowers that would make good armatures for some trees. Unfortunately they were very weak and couldn’t support their own weight. Adding some glue and flock to them as-is would have resulted in some droopy trees. The easiest way to deal with this problem is to use a wire wrap. Steel wire works the best for this since it is both stiff and cheap. Floral wire works really well since it comes with a coating on it that takes to paint nicely. Generally speaking you want to use the smallest wire you can for this. Don’t worry if you need to use multiple wraps of a wire to get the required stiffness, because it’s usually still less obvious than a heavier wire. If you want to go all out, it is even possible to camouflage the wire as a climbing vine. Simply twist the wire around the part of the armature that needs more support, and cut off the excess. After that it’s the same as the other plants. Glue it down, pain, and then flock. This particular plant is very limp and droopy, so the earlier uses of the plant was for some smaller trees and bushes. 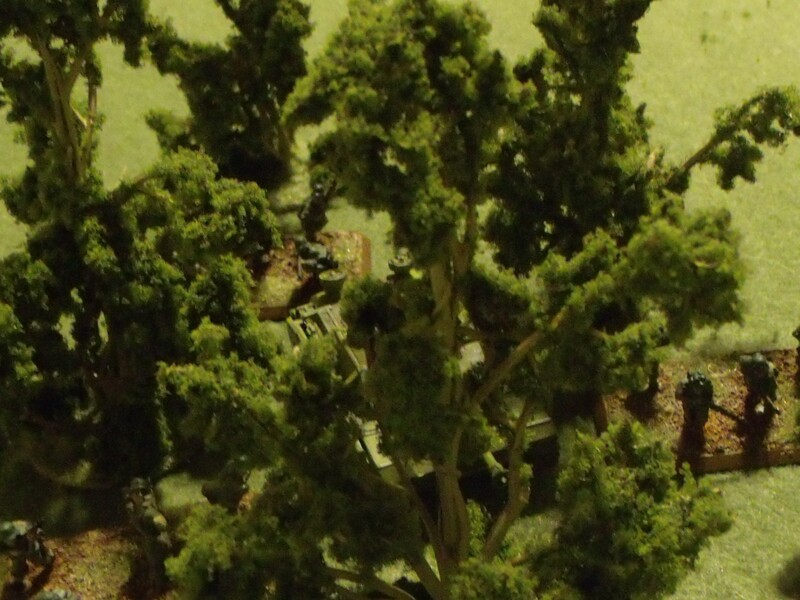 Using the wire wrap we were able to make larger trees that easily stand up to the rigors of gaming. Once the stock was glued down to a base we added some smaller clippings to the base to fill it out a little. Previous post: Concept sketches of a 15mm Trench System.